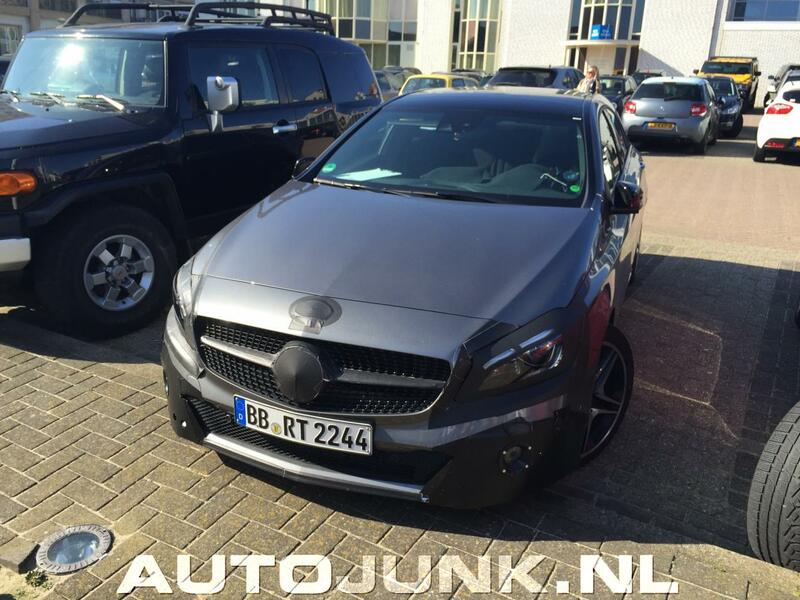 The updated version of the present Mercedes-Benz A-Class, which will be released as the 2016 model, has been recently caught on two shots, with the model wearing a slight camouflage in a car park in Netherlands. 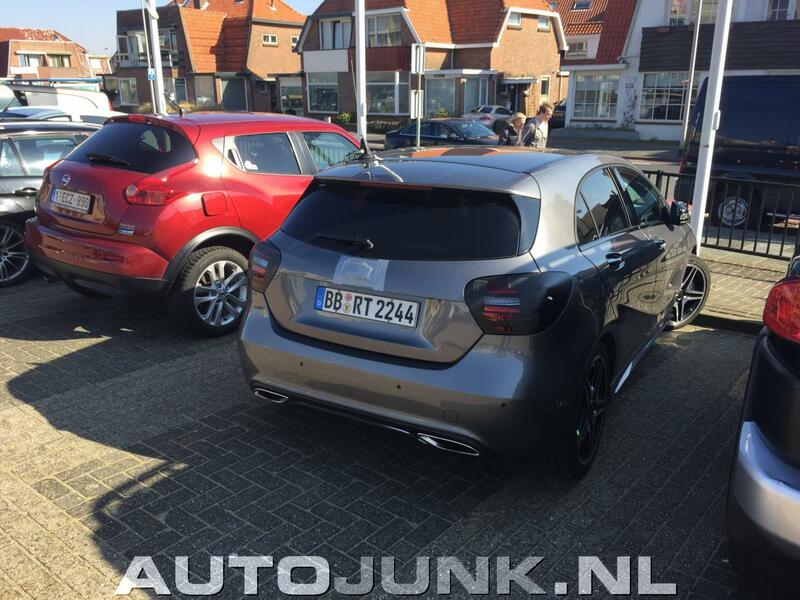 The two shots were provided by the guys from Auto Junk and are previewing a test mule of the 2016 Mercedes-Benz A-Class, wrapped in some camouflage, which means that the final version will come with some light updates, at least at the body. 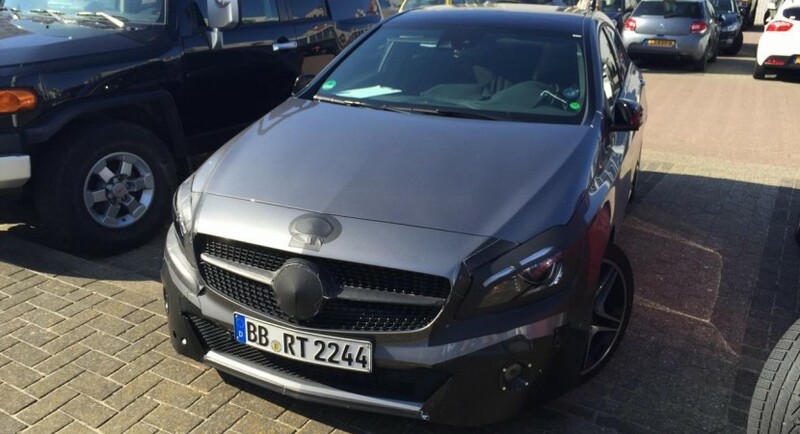 The 2016 Mercedes-Benz A-Class will thus come with some minor changes at the body style, the model finally receiving a revised front and rear bumpers, a new radiator grille and a few exterior tweaks, which will differentiate it from the current model. As a reminder, the present Mercedes-Benz A-Class is offered as a 5-door hatchback style, as well as a Shooting Brake version, sharing the same platform as its siblings the CLA and the GLA crossover. Under the hood, the current Mercedes-Benz A-Class brags with a wide array of engines, like the 1.6-liter or the 2.0-liter turbo petrol, while the diesels come in the shape of the 1.5-liter, the 1.8-liter as well as the 2.2-liter units, all hooked to a choice of 6-speed manual or 7-speed automatic transmissions.